Well, the fact is that attic insulation is very important. Of course, it is necessary to dig a bit deeper. It is hard for you to imagine having to live through the summer without the cool refuge that your home turns to when you put the AC to work. Just picture a summer where the temperature inside is almost the same as it is outside. Now do the same thing for the winter. Well, that’s how important the insulation of your attic actually is. This is the single, most leaking point of your house when it comes to air and guess where all that air is going to? On the other hand, the proper amount of attic insulation is capable of keeping your home cool throughout the entire summer. At the same time, it is going to prevent you from overusing the AC system, saving you a lot of expenses in the interim. This is something to consider. There are quite a lot of different types of attic insulations that you might be able to choose between. The thing that you have to consider is that they are all going to work in, more or less, the same way. The air pockets which are trapped in the insulation layer itself are going to act as nothing but convenient thermal barriers. They are going to prevent any type of mingling in the air between the attic and the living area. There are a few different types of insulation that you can actually choose from. These include batt and blown insulation. The latter is known for being in the industry for quite some time and it comes in big and fluffy insulation roles. The blow insulation is also commonly referred to as loose-fill and it is made out of pelleted materials which might also be shredded. There is foam insulations that are quite appropriate for different undertakings, but not for attic insulation. There is expanding foam insulation, which is usually used to fill in cracks in different surfaces, for instance. However, this helps to seal in the cracks and crevices to ensure that there is no heat or cool air loss. The truth is that insulating your attic is something that should be handled by a skilled professional. It is one of the considerations that you’d have to account for and it is also something that would make sure that your attic is handled properly. This is not a matter that should be disregarded as it is of serious importance. Call a furnace repair service in Stouffville today, as he will also be able to make sure that you get the necessary audit in advance to determine the type of insulation which would be best for you and the amount that is necessary – this is important. 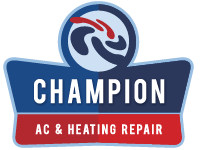 https://championhvac.ca/wp-content/uploads/2017/03/champ-01.png 0 0 miasoft https://championhvac.ca/wp-content/uploads/2017/03/champ-01.png miasoft2017-10-17 06:28:122017-10-06 06:31:50How Important Is Attic Insulation? Is Your AC Improving The Quality of Your Air? How Does Your Home Lose Heat?